This article was originally published on November 12, 2010, in the Shenzhen Daily. 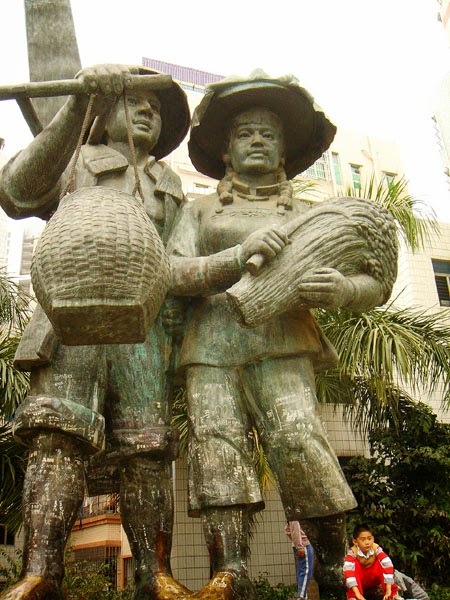 The first taste I had of Shenzhen's origins was in Xiasha Village, near Shangsha Village. Unfortunately, part of the village plaza is under reconstruction until next year. 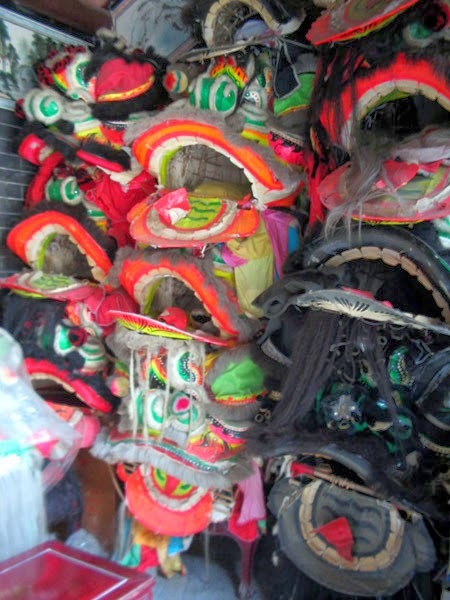 I especially miss the "Chen Yang Hao Miao," a small temple dedicated to two deified humans; it has been dismantled during the repairs. But there's still plenty to see. The Huang Siming ancestral temple is the site of the world's "Largest Folk Banquet," an annual event where layers of food are prepared in tubs, and dished out to participants. It's claimed that the Guinness World's Record people verified 3800 tables full of people in 2002. 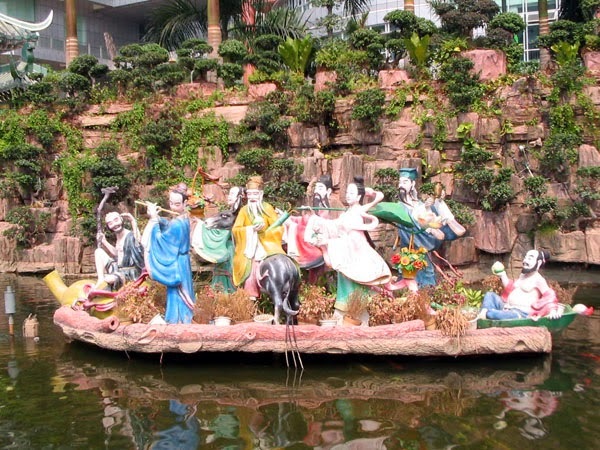 Also still to be seen are the ancient tree and a monument to the village's pioneers on the plaza's west side; and the kitschy statues of Guanyin, the Laughing Buddha, and the Eight Immortals on the north side. 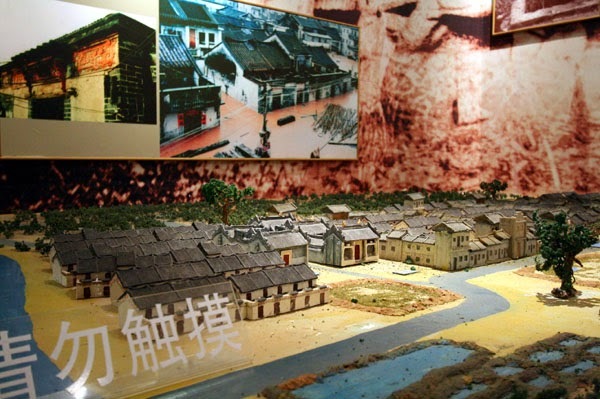 This diorama in the Huang family museum shows Xiasha as it was many years ago. But the best part of the village is the small museum dedicated to a chronological telling of the exploits of the Huang family, from the life of patriarch Huang Qiaoshan, a Song-Dynasty native of Fujian with 21 sons (!) to the latest activities of the Huang-founded corporation. And best of all, there's plentiful English interpretation. Entrance to the village is just across from the B&Q on Binhe Road in Futian. The museum is on the north side of the street across from the plaza.